From the JC for Men Collection. 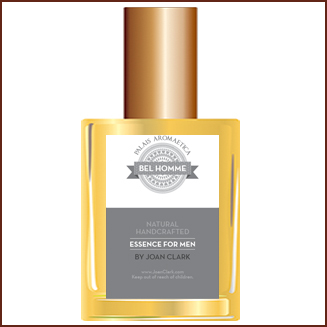 Bel Homme (Beautiful Man) is a sensual, sophisticated essence with an edge of romantic charm. As this fragrance unfolds a layer at a time it leaves behind on the skin a sweet, exotic musing of jasmine, vetiver and patchouli that lingers and continues to entice the senses. Inspired by one of my trips to Paris. Need I say more. Contains: Marjoram, Patchouli, Lavender, Palo Santo, Jasmine and more.